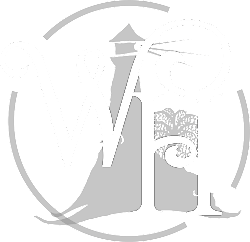 Willow Harbor Series: Announcing The Willow Harbor Series!!!! Announcing The Willow Harbor Series!!!! Four authors. One small town. Full-length novels. These are just a few of the awesome details we are so excited to finally tell you guys about. Over the past 7+ months, the four of us--Alyssa Rose Ivy, Jennifer Snyder, Juliana Haygert, and Sarra Cannon--have been meeting every single week to develop this unique supernatural small-town series. 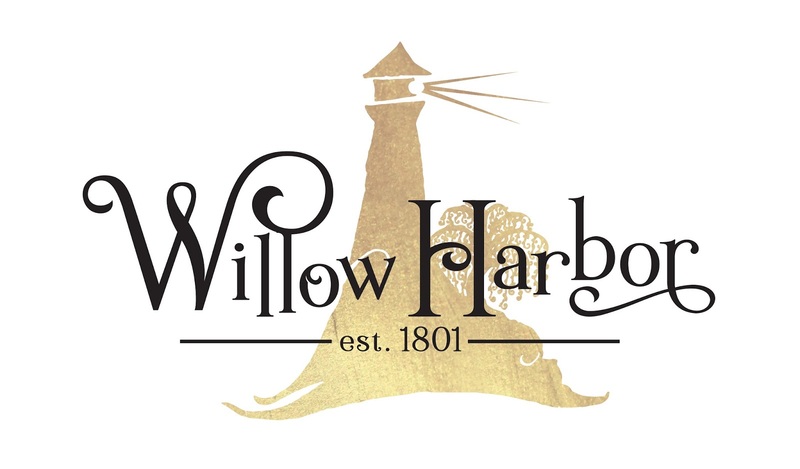 It is our pleasure to finally introduce you to the Willow Harbor series!! We have been dying to tell you guys about this project, and I can't even tell you how excited we are that the day is finally here!!! So, if you're wondering what Willow Harbor is, here is a little bit about how the project got started and what you can expect from us. Some of you may remember a few years ago when the four of us got together to write a Halloween novella collection called Midnight Kiss. Basically, that project came about because the four of us are already good friends and thought it would be a lot of fun to write something that happened on the same night in the same location with a shared character. We created a private Facebook group where we could share our ideas about the novellas. We settled on Halloween night in New Orleans and decided that each one of our stories needed to involve a character who would somehow find themselves inside a mysterious voodoo shop on Bourbon Street called the Midnight Cauldron. We honestly had so much fun working together on a shared project that we have kept in touch over the past two years as great friends. Last year, we decided to start having weekly video chat meetings to talk about our lives as moms and writers. Naturally, over time, we turned back to the idea of working together again on a combined story. The idea of only writing a few novellas or short stories didn't quite seem like enough. We wanted to do something bigger! After a few weeks of brainstorming, we finally settled on the idea of a small-town paranormal romance series. Once we got the first ideas going, we quickly started throwing out more and more ideas about how we wanted the town to be, how our stories might connect, and what we wanted to do with the series. Each book in the series will be a full-length novel! The four of us have collaborated extensively for months on the details of the town in terms of recurring characters, setting, a town map, and other really cool mystical features to our town, such as a mysterious willow tree that you'll be learning a lot more about as the series progresses. Our town is a secluded beach town set on the east coast, somewhere near Charleston, South Carolina. That means that while you can expect to see some of your favorite supernatural creatures like vampires, werewolves and witches in this series, you will also be introduced to more unique water-based races such as tritons and mermaids. Each of us will be writing a single book in the first set of 4 releases, and while these books could stand alone in terms of the romance and a complete story, there will also be some really cool connections and interactions you won't want to miss in all of the books. The Willow Harbor series is a New Adult Paranormal Romance series with a touch of suspense in each book. The first 4 Willow Harbor books will all be releasing on the SAME DAY this fall for a special, limited-edition 99 cent price to make it easy for you guys to pick up all four books for less than $4 on release day. There will be at least 8 novels in this series, and hopefully many more! Getting excited yet?? I hope so! I can't even explain to you guys just how excited we all are to be working on this series together. It is truly a passion project for us, and we cannot wait to share more as we get closer to the release date this fall. In the meantime, please help us spread the word by sharing this post or our posts on social media. 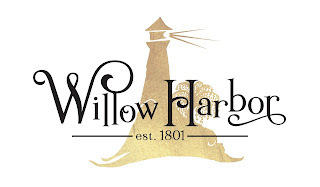 We've created a special Willow Harbor Facebook group, and I hope you'll come join us today. We've got a few giveaways this week in celebration of our big announcement, so don't miss those! In the meantime, we're so crazy excited to announce our Willow Harbor series and the first 4 titles in the series. Please take a minute and add all four of our books to your Goodreads to-read list! Thank you for sharing in our excitement today. We hope you're just as excited as we are. Don't forget to come join us in the Facebook group for some fun conversations and giveaways! More news coming soon! Sara I love pretty much anything you write. I loved the Shadow Demons series especially. I am really looking forward to this series! I have enjoyed the books by your co-authors too. I agree with the others, I can't wait! I have read all the Shadow Demons and Willow Harbor books in about a month. Will there be any more Willow Harbor? I am already hovering for the 22nd to get book 9.